NEW DELHI: The tax department on Friday launched the facility of e-PAN on a real-time basis, a move which is expected to reduce the interaction with the department and help taxpayers generate the permanent account number (PAN) without any hassle. The facility is free of cost and you can you can log onto the income tax portal to generate the e-PAN. 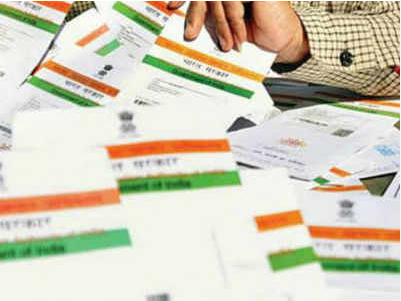 It is available for resident individual tax payers and not for Hindu undivided family (HUF), firms, trusts and companies, and is open for a limited period on a first-come, first-served basis for valid Aadhaar holders. You will not need to submit any documents. The e-PAN will be generated using the details available in Aadhaar. So, you need to make sure that these are details updated because the e-KYC will be done using the Aadhaar database. Once, the e-KYC is successful based on the Aadhaar OTP, the process of e-PAN application will be initiated. You will need to upload a scanned copy of your signature on a white paper with the specifications given on the income tax website. After filing the application, a 15-digit acknowledgement number will be generated and sent to your mobile number/ email mentioned in the application form. “Thanks to the elevated use of technology and digitisation adopted by the government in the tax department, it is now resulting in truly convenient and paperless interface with tax payers. One may expect more of such initiatives in the coming days, which will make the life of tax payers more easy for managing their tax affairs,” said Kuldip Kumar, partner & leader, personal tax at consulting firm PwC India.